Hey everyone! Well today for most of us on the Eastern side of the states, are stuck at home because of the storm. For sure it's the best time to do some nails! Also I finally have my computer working so I can post up some reviews I have for so long. 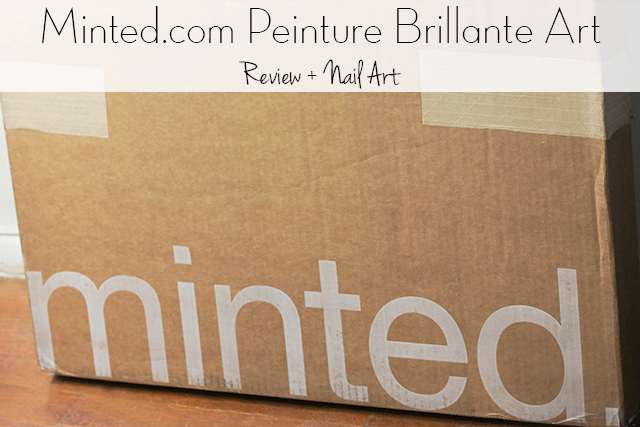 For today's post, I have a review from new-to-me product called Minted.com. 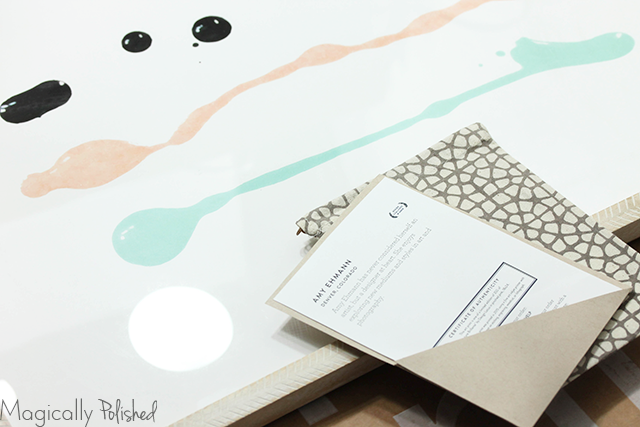 Minted is an online marketplace connecting you with independent artist from all over the world. Minted.com sources it's pieces through on-going art competitions. Where artists and designers submit work to fit a design brief. The public vote and the winning designs are chosen and sold as art, home decor, stationery and fabric. "I am a self taught graphic designer. I discovered my love for stationery design here ate minted in 2009. 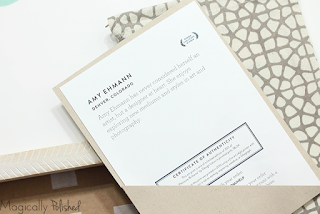 The minted community is an important influence and continually challenges me to be a better designer." 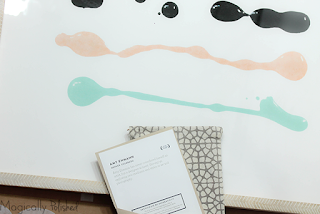 The featured piece I received is the Peinture Brilliant by Design Lotus. I absolutely love this limited edition print, it fits perfectly in my nail room! 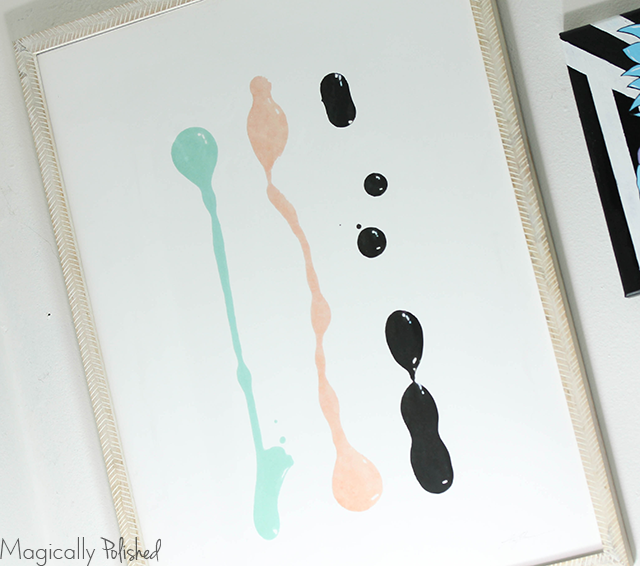 "I was trying to experiment with a new medium. In this case it was nail lacquer in my favorite colors. I'm drawn to art that is more modern and minimal." As for the print materials, I chose the standard and frame. which is acid, lignin-free paper and deluxe pigment print. There are other options you can choose from. For the frame, they have many options as well...which is a plus for me. I chose their 8x10 Whitewashed Herringbone. Which is hand carved and white washed arrowhead pattern that adds a rustic twist. My walls are white and I thought it would make pop more with this frame. What I also really liked was the certification of authenticity, it makes it surreal and legit. 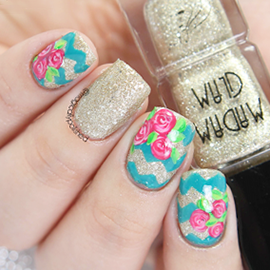 Of-course, I couldn't do this post without creating a nail design inspired by the print. Believe it or not this is actually the first time I created a splatter design with the straw technique. For the base, I used OPI Alpine Snow, I then sealed it with top coat for a smooth base. Once completely dried, using the bottom part of the straw I applied a small amount of the polishes and blew the top for the splats. The colors used for the splatters are shopLVX Cirque and Jade and Cirque Colors Memento Mori and sealed with top coat. Pintrest: minted Hope all of you enjoyed my post today! What do you guys think? Let me know in the comments below!